Pre-testing for their next rank is a good review for students. 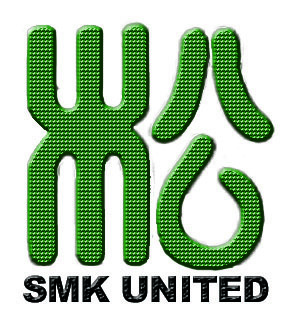 On one side it gives them renewed confidence as they get to present the new material that has been learned. 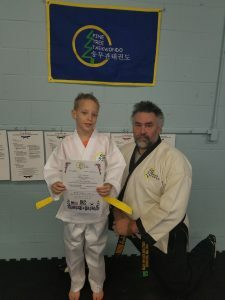 In Taekwondo, they have spent the last months working on the new hyung (form) and one-step self defense and kicking requirements. 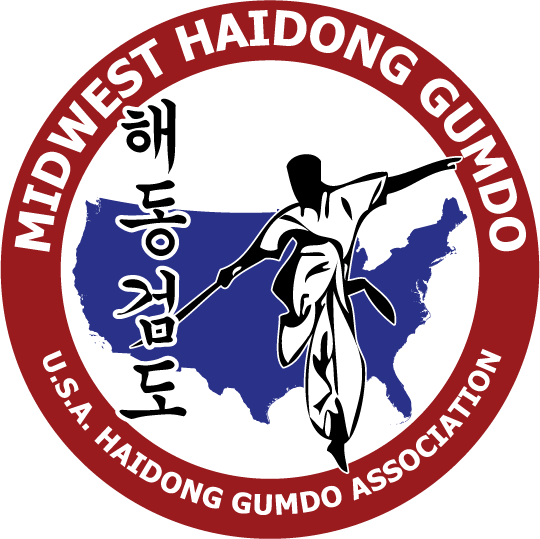 For the Haidong Gumdo program, they have been working on new gumbub (sword form) and Focus drill and gyuk-gum (fighting drill). They have done them hundreds of times. They know the order of techniques and stances in the form. Usually, they can even tell you the order of techniques and which stance it should be. On the other side, it also shows the glitches in their technique. It is very easy to fall into the habit of doing the material without truly studying it. The mere repetition of the form or technique doesn’t ensure that you are improving in skill. In fact, it will only re-enforce bad habits and mistakes. These habits will take a long time to correct. Merely doing the form or drill doesn’t KEEP the stance correct. 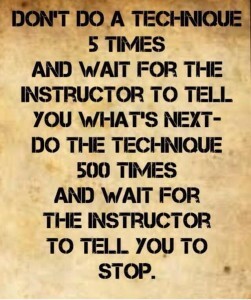 The phrase “practice make permanent” is very fitting to martial arts (and personal protection) training. The correctness disappears after training without focusing on keeping all the parts in place. Unless the student actively works at keeping all the parts to all the techniques in all of the form, the training time can be wasted. If training in the martial arts is a method of personal development, then all studying should include the in-depth review and analysis. 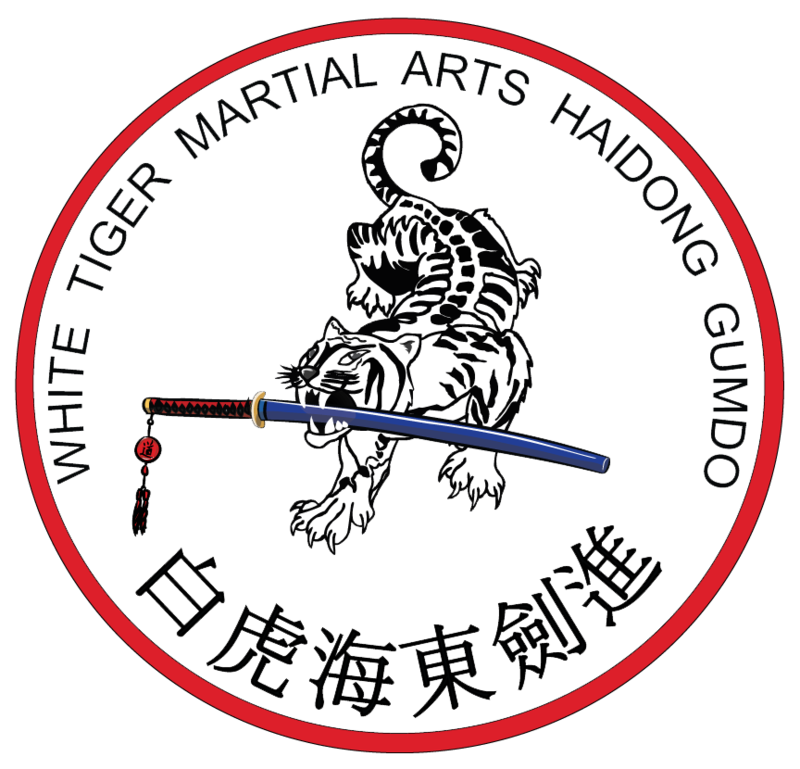 The physical techniques being performed must fit into the principles of the martial arts. I find this to be true in my training. As someone relatively new to martial arts, I continually try to not only perform correct physical position but try to understand the ‘Why’. Given our relatively limited time with masters, I try many methods (mirrors, video tape, other people, etc.) to continually get a view from another point of view. Even with all these different viewpoints, it continually amazes me how a Master can pick out one little position, motion or pause that can totally change how I view what I am doing. 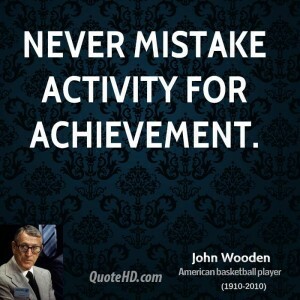 This was also true in past sports I was involved in at a very high level. I eventually learned that merely looking at what someone was doing typically took me down a wrong path until I understood what they were tying to do. Most times, what I visually saw was merely a reaction to the actual intended action. Training is a part of the journey to finding one self in this life . What greater cause can an individual pursue? It has served me well for many years and will continue through out this life.